#DeliciouslyDifferent burgers at Wendy's - CHOMP! SLURRP! BURP! With Cyberhub painted with the colors of Christmas, Wendy’s at Cyberhub has a reason for you to cheer too. With their deliciously different burgers, they have also launched amazingly affordable wine and beer section. Spread over a huge area and beautifully donned for Christmas with sleighs, Christmas ornaments and snowflakes. 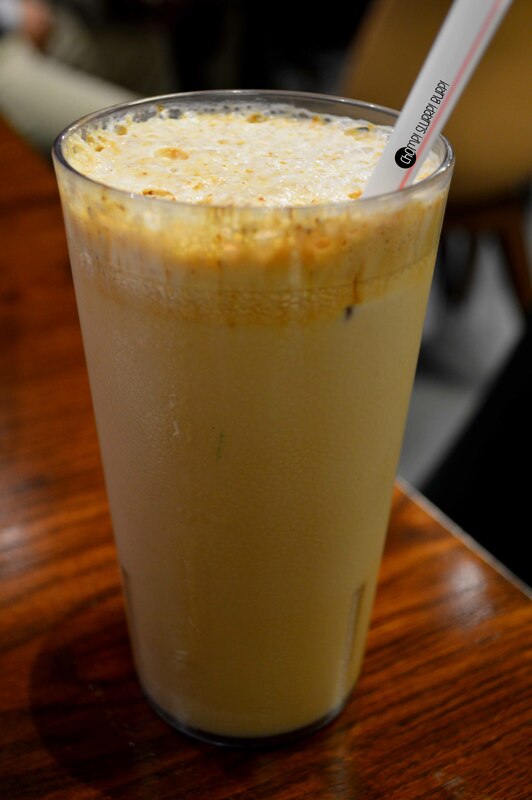 Starting with their classic cold coffee. They have added some fun nibbles and dessert. Starting with falafel shots with tzatziki. Bite sized crispy falafel, a tad on the drier side but quite an interesting bite. The chicken nuggets were juicy and crispy but nothing out of the box. Bbq bacon club burger – the classic squared up burger with lettuce, tomatoes, a crispy fried chicken patty and smoked bacon. Being an ardent bacon lover, the bacon definitely lacked the soft, chwey characteristic but was more crispy. Enjoy it with a wine favorite. 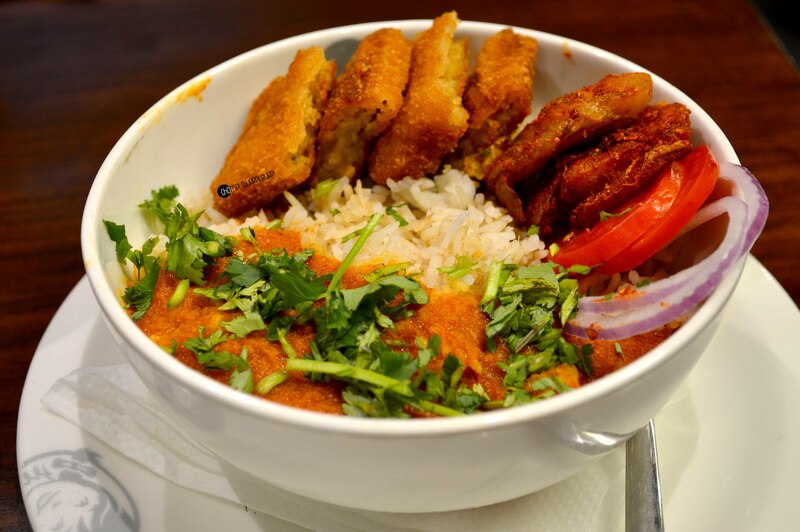 They have also recently launched rice bowls – herbed rice, makhani gravy, breaded chicken nuggets and crispy fried potatoes. 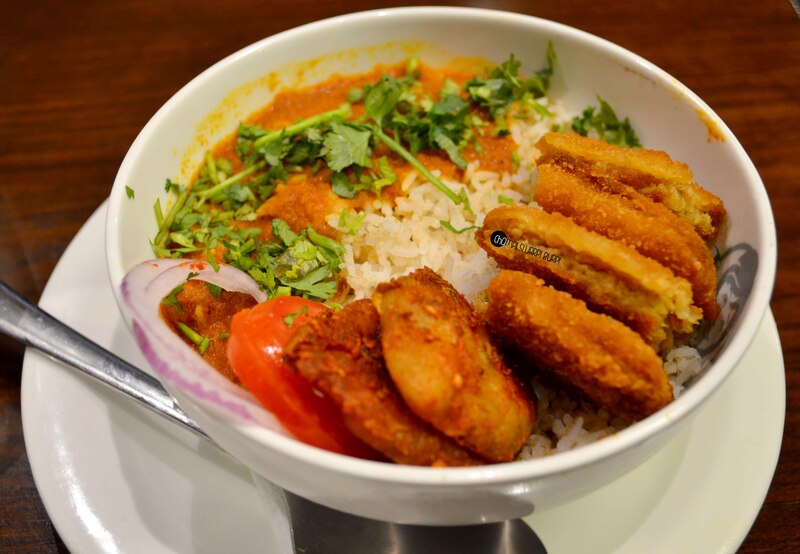 They have definitely Indianised the rice bowl and the ensemble could have worked better if they had a saucy Mexican gravy instead. Slight tweaks in this new addition and it wpuld definitely be a lunch favourite. I finished with warm chocolate brownie with a frosty – a gooey chocolate brownie topped with a gorgeously done classic frosty, looked rightly like a Christmas dessert. What you absolutely can’t miss at Wendy’s? Well, I would still go with their Greek Mutton burger. Among the new additions their falafel shots and chocolate brownie with frosty. And the affordable beer and wine gives an added advantage.